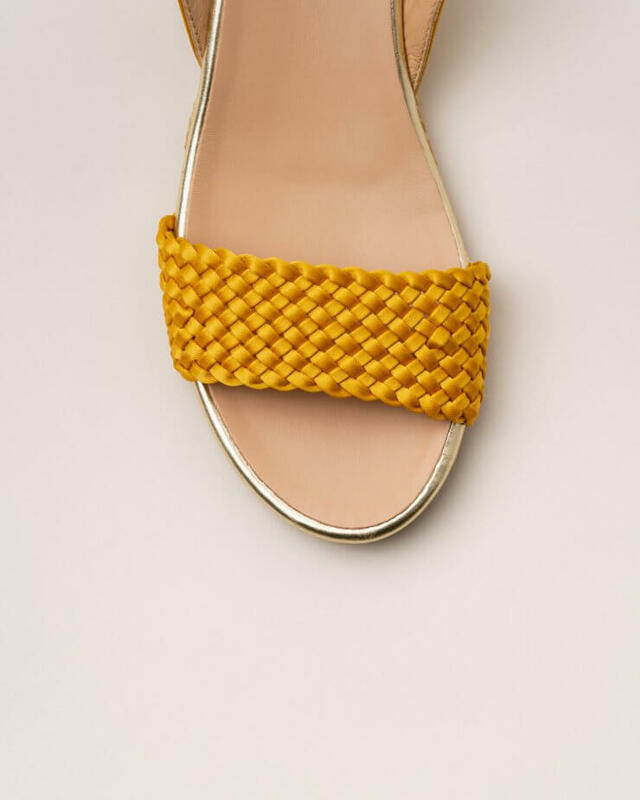 Mustard yellow suede espadrilles. 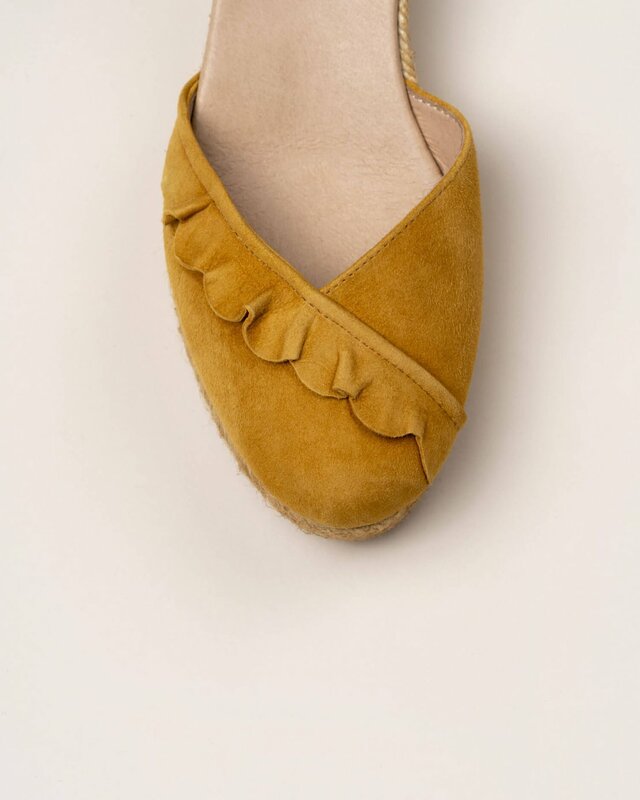 Closed at heel and toe, with ruffle detail on top. Lateral heel buckle clasp. Medium jute wedge.